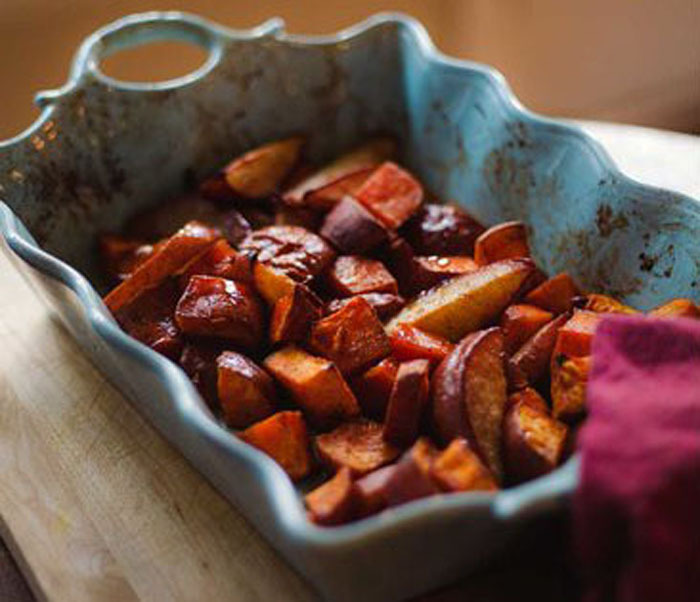 From easy casseroles to tender slices roasted in the oven, this is the ultimate list of sweet potato dishes to add to your Thanksgiving recipes this year. Our family doesn’t play by all the rules for Thanksgiving. 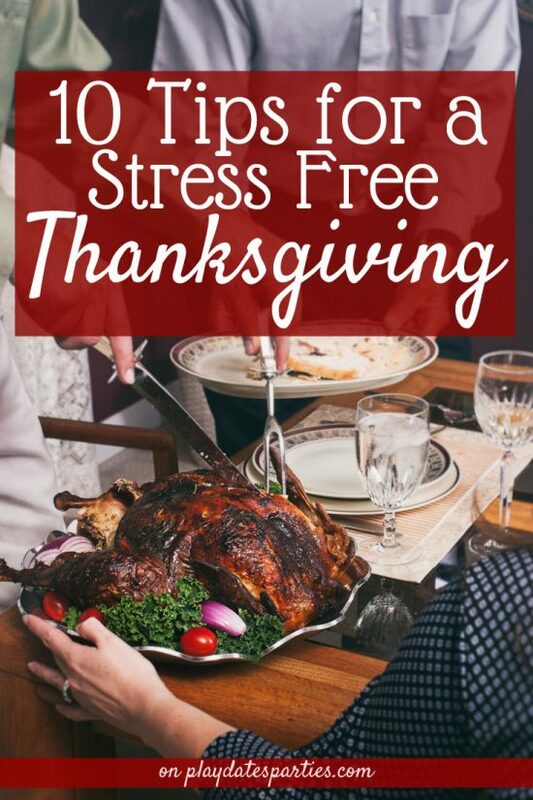 The turkey doesn’t see the inside of an oven, I’m not a fan of traditional green bean casserole, and even among all the sweet potato recipes out there, I don’t make them candied. You see, I love sweet potatoes. L-O-V-E them. And while I know millions love their candied yams, I just don’t see the need for lots of butter, brown sugar, and marshmallows. Let’s just say I celebrate their natural sweetness. If you’re like me and not into the whole marshmallow-topped thing, there are plenty of ways to up your sweet potato game for Thanksgiving dinner. And I’ve pulled together a list of 25 gorgeous sweet potato dishes that are sure to impress everyone at your Thanksgiving table. Make sure you have a good, sharp knife. It’s actually much easier to injure yourself with a dull blade than a sharp one. I’m a huge fan of classic French white Corningware. It may be old school, but the white casserole dishes are pretty enough to go with any decor and go straight from oven to table. 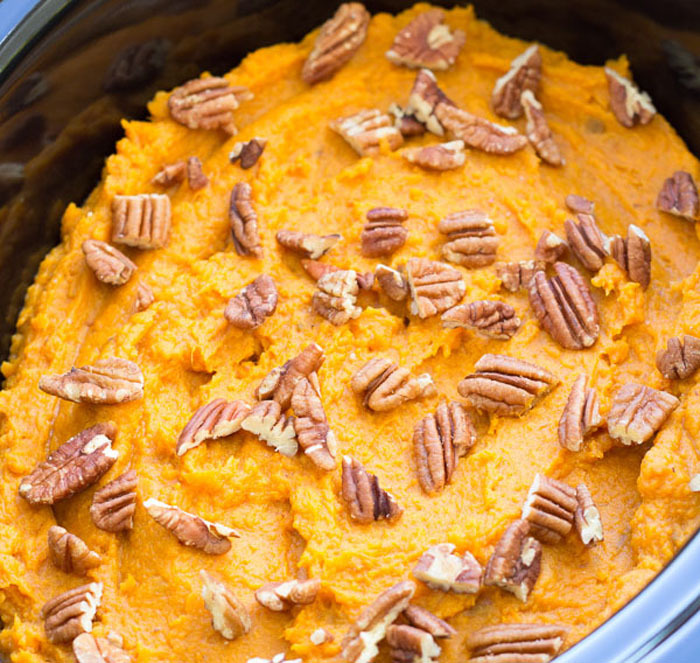 For those of us trying to stay on the lighter side of things, Healthy Slow Cooker Sweet Potato Casserole by Kristine’s Kitchen is also a great option for those of us who don’t want to use any more oven space than necessary. Surprise your guests with the unexpected combination of Roasted Pears and Sweet Potatoes by One Table. Here’s another recipe for your waist-watching guests that is as gorgeous as it is tasty! 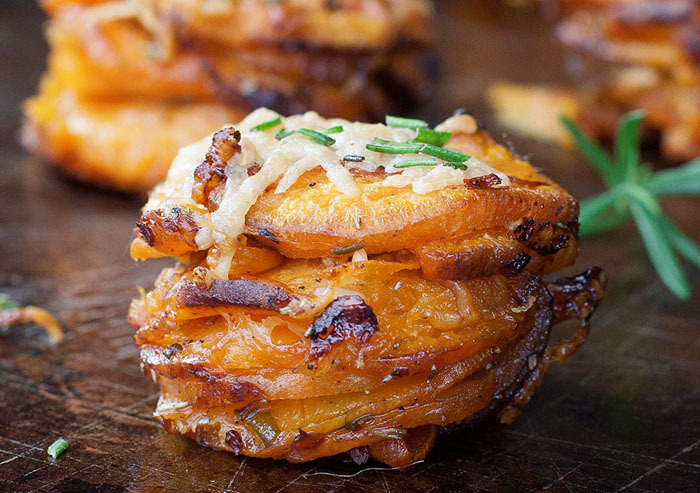 Get the recipe for Rosemary Sweet Potato Stackers at Kim’s Healthy Eats. There’s nothing like comfort food…until you’re watching your waistline. 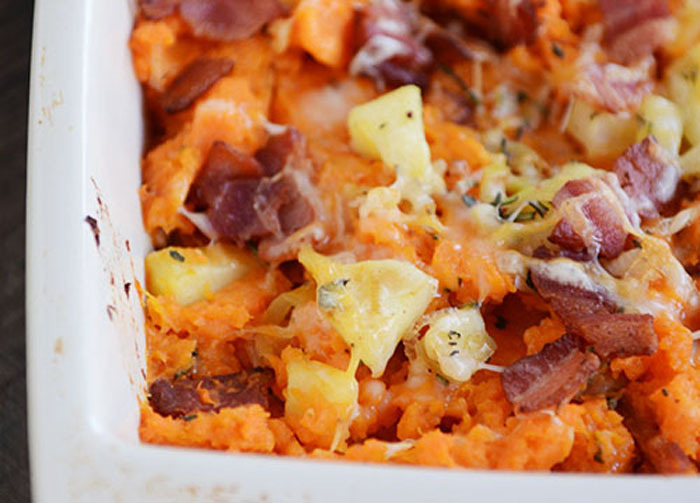 Get the best of both worlds with The Pioneer Woman’s Lightened Up Sweet Potato Casserole. Of course, everyone loves a good copycat recipe. 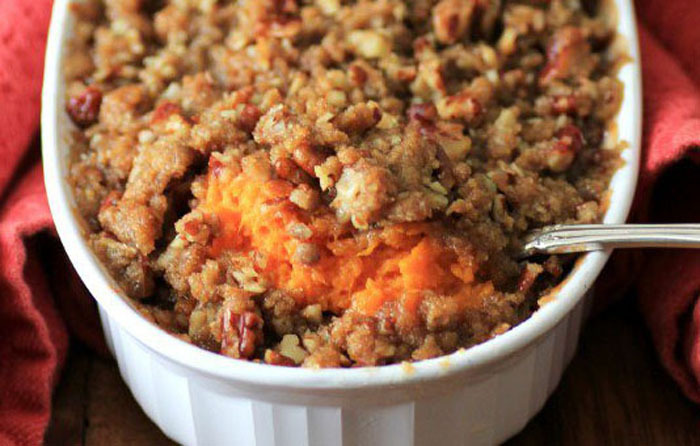 And Noshing with the Nolands’ Ruth’s Chris Copycat Sweet Potato Casserole will definitely be a favorite for everyone at the table. Of course, there’s nothing quite like a good sweet potato mash. 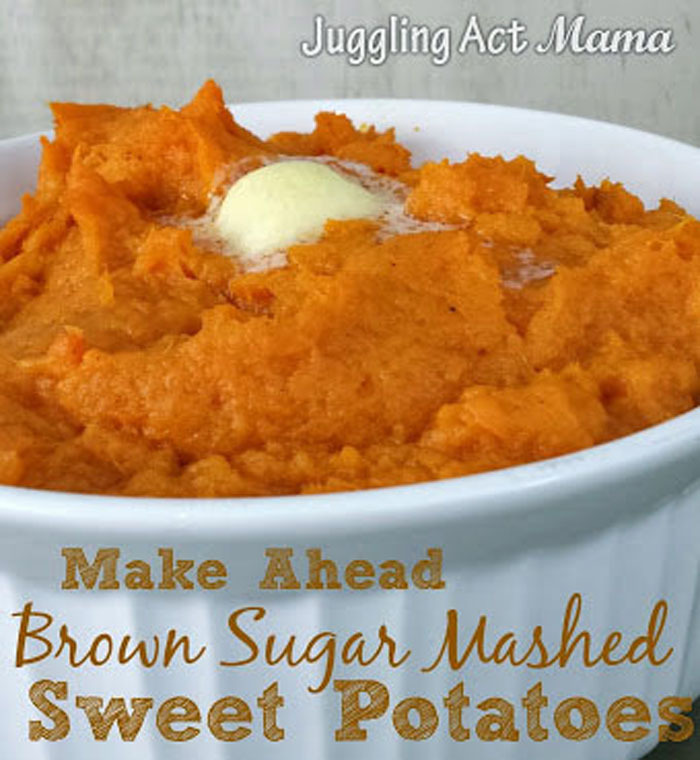 And Juggling Act Mama gets bonus points for sharing Make Ahead Brown Sugar Mashed Sweet Potatoes to keep things easy on Thanksgiving day. 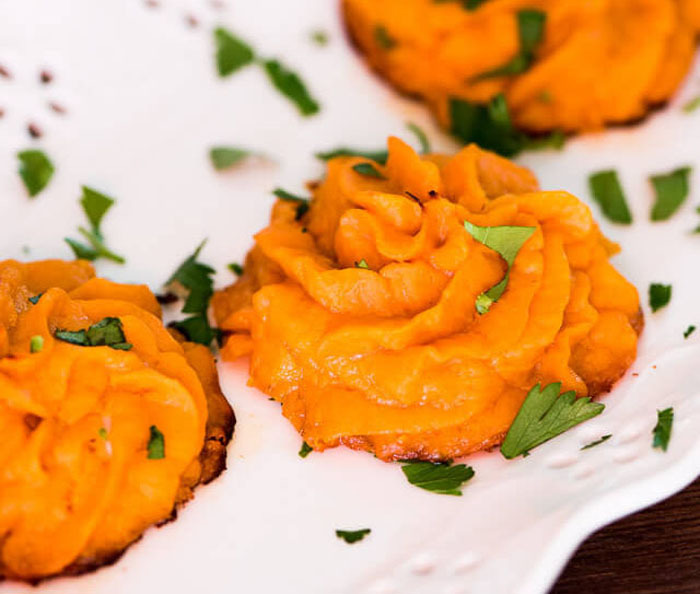 While it’s not written as a make-ahead recipe, you could easily prepare these Twice Baked Sweet Potato Puffs by Tastes of Lizzy T’s a day in advance. Just refrigerate after piping and then do the final baking on Thanksgiving day. I know, I know. Breads like this aren’t really a side dish. 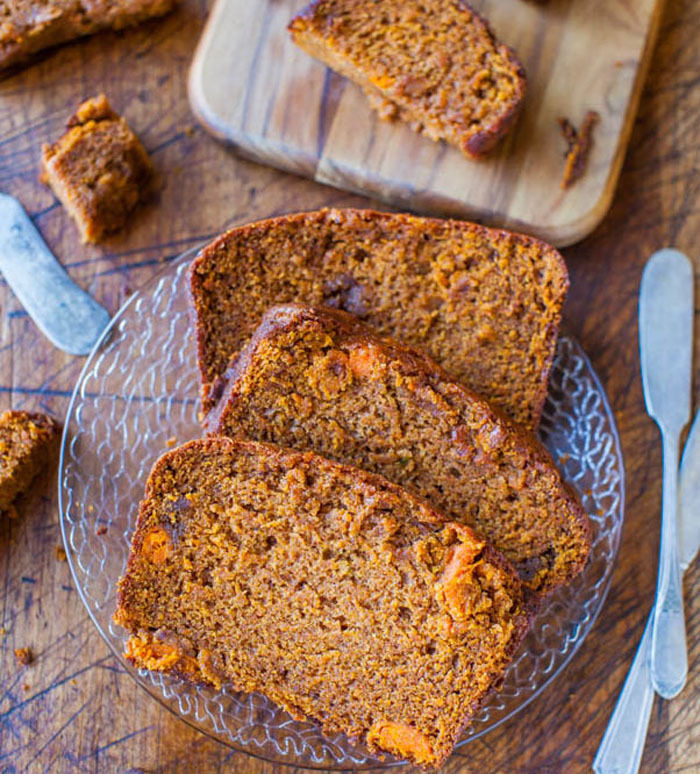 But Cinnamon and Spice Sweet Potato Bread by Averie Cooks just sounded too good to pass up! 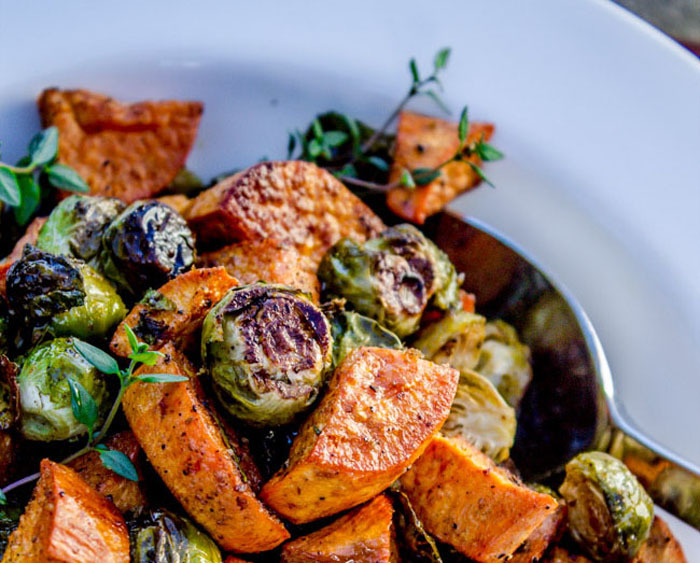 You’ll never guess from the picture what the seasoning is for this Roasted Sweet Potatoes and Brussel Sprouts by the Food Charlatan. It’s definitely one of those recipes that will surprise your guests! Okay, now this recipe is just plain gorgeous. Get out your mandoline and your prettiest round casserole dish, because everyone’s going to love these Crispy Roasted Rosemary Sweet Potatoes by The Comfort of Cooking. Look at how thin those beautiful sweet potato slices are on How Sweet Eats’ Sweet Potato Galette with Caramelized Shallots. These sweet potato slices from Half Baked Harvest could be a unique appetizer, they’re so pretty. 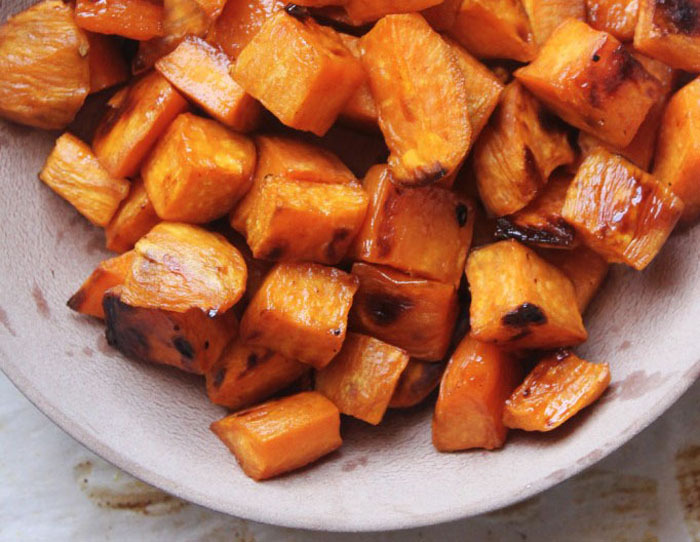 Get the recipe: Crispy Roasted Sweet Potatoes with Bourbon Maple Butter. Have some foodies coming to dinner? 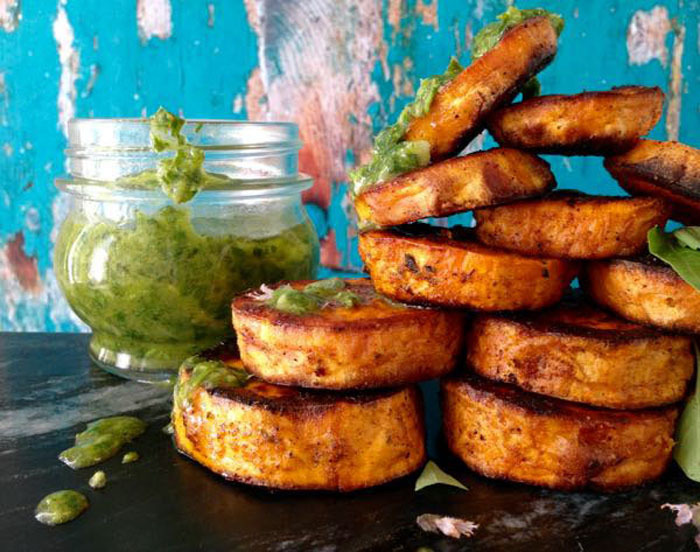 They’ll love this unique combination of Roasted Sweet Potato Rounds with Chimichurri Sauce by Ciao Florentina. 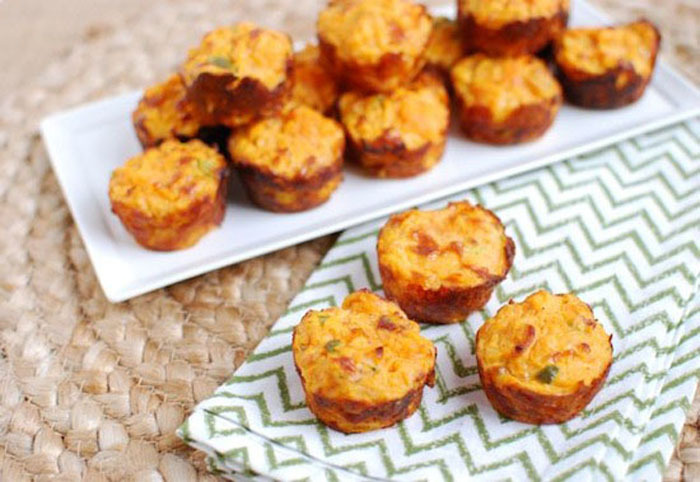 I know my husband would love the special kick in Jalapeno Cheddar Sweet Potato Puffs by The Lean Green Bean. This one is for the adventurous eaters! A little bit smokey and a little bit spicy, the grill masters in your family will appreciate Chipotle Scalloped Sweet Potatoes by Paleo Leap. 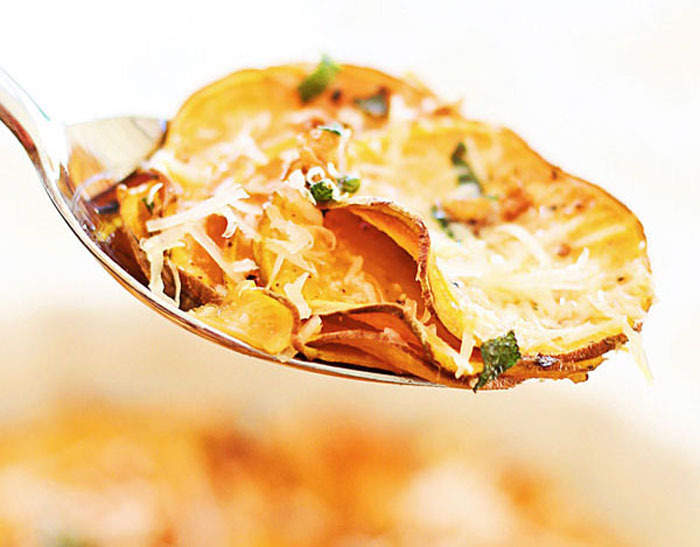 Baked Parmesan Sweet Potatoes by Lil Luna is super easy with sweet potato cubes and a seasoning mix that uses ingredients most of us already have in our pantry! 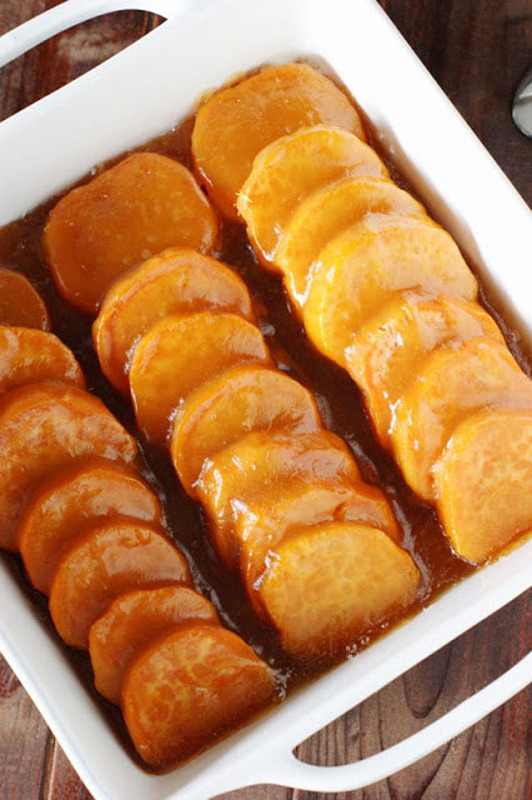 Who needs fancy garnish when you have generous sweet potato slices lined up so nicely with a gorgeous sauce like these Glazed Sweet Potato Coins by The Kitchen is My Playground. 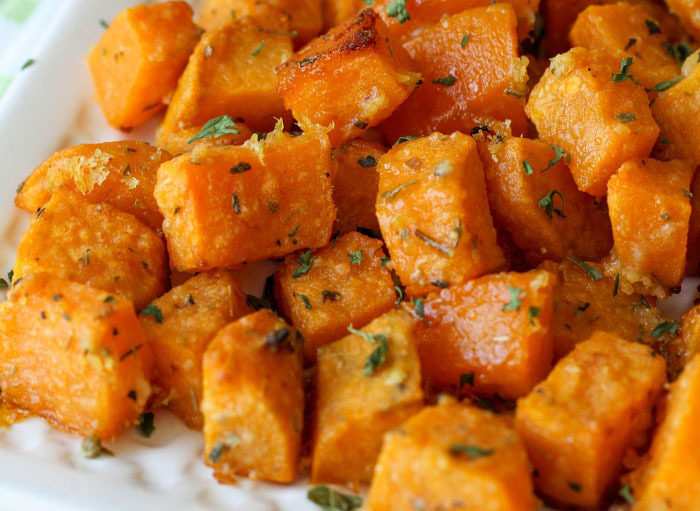 Another easy dish, Maple Cinnamon Sweet Potato Bites by Natural Chow just needs a good knife to cut your sweet potatoes into cubes, a bit of seasoning and then a good roast in the oven. Get your pumpkin spice fix early at Thanksgiving dinner with Pumpkin Pie Spiced Sweet Potatoes by Premeditated Leftovers. Sweet and Salty aren’t just for dessert! 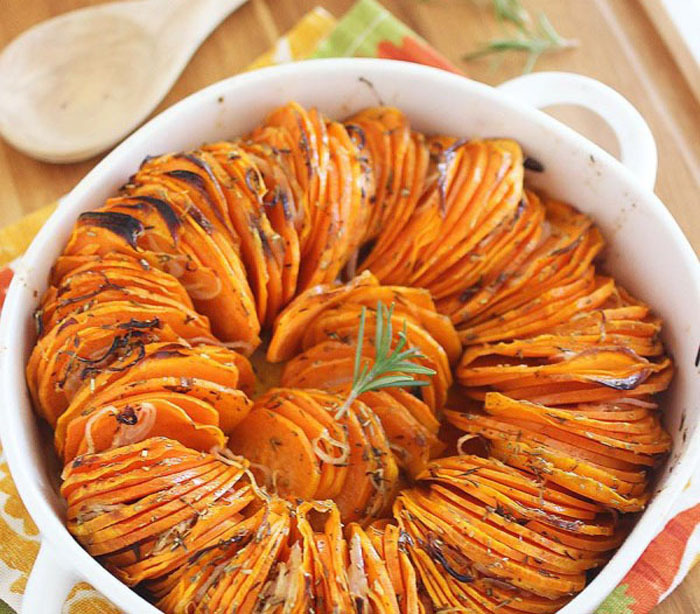 Nutritionist in the Kitchen takes this classic combination and puts it together with Sea Salt and Honey Caramelized Sweet Potatoes. 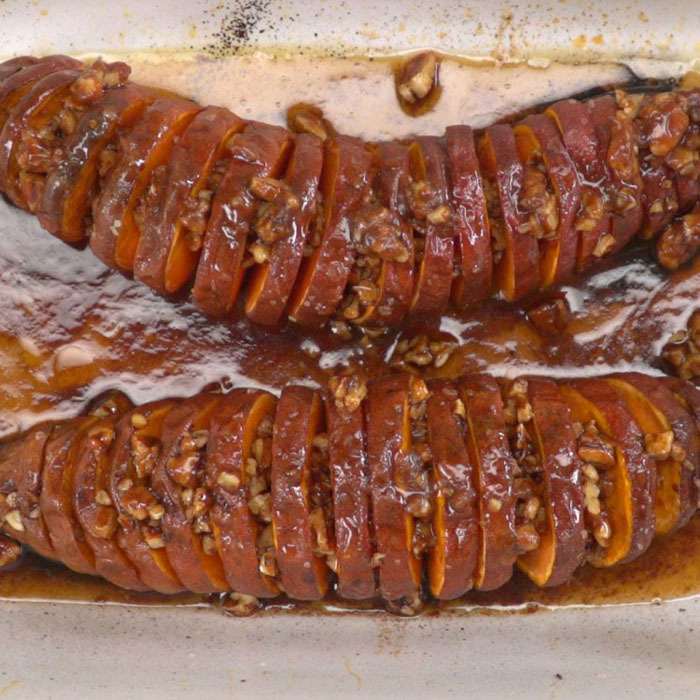 The Tip Hero puts all of the classic fall comfort flavors into one incredible side dish with Hasselback Maple Pecan Sweet Potatoes. 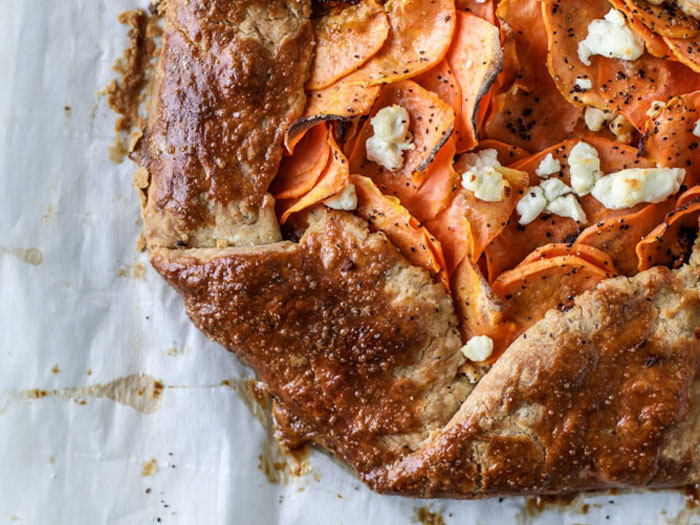 Looking for a sweet potato bread to change up the menu this year? 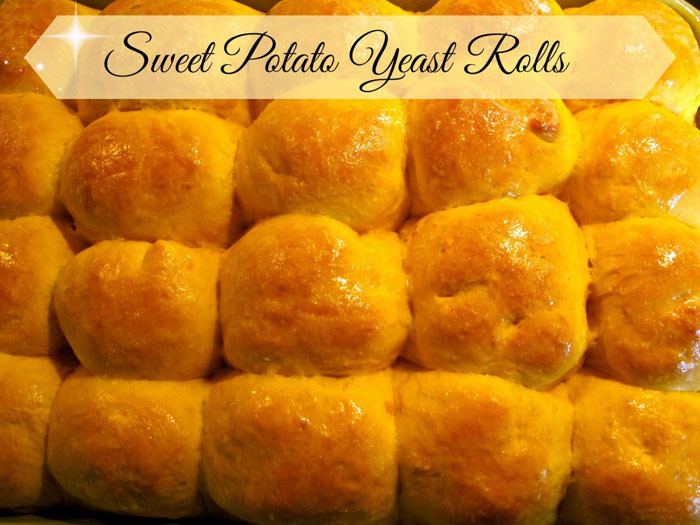 Give these Sweet Potato Yeast Rolls by The Free Range Life a try. 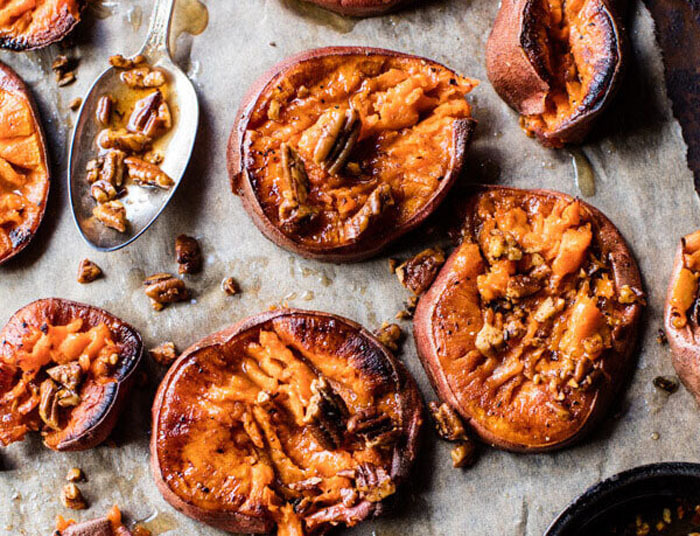 Or you can combine the sweet potatoes with tart apples and pecans like Well Plated did with their Glazed Sweet Potatoes with Honey Whiskey Pecans. 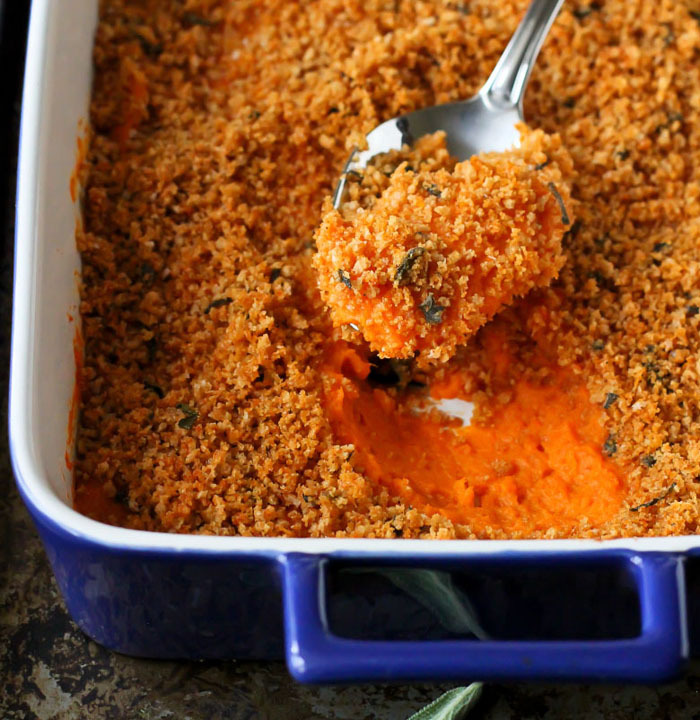 Celebrate hearty fall herbs with Rasa Malaysia’s Sweet Potato Bake with Sage Butter Sauce. Or you can add a little meat to your sweet potatoes. 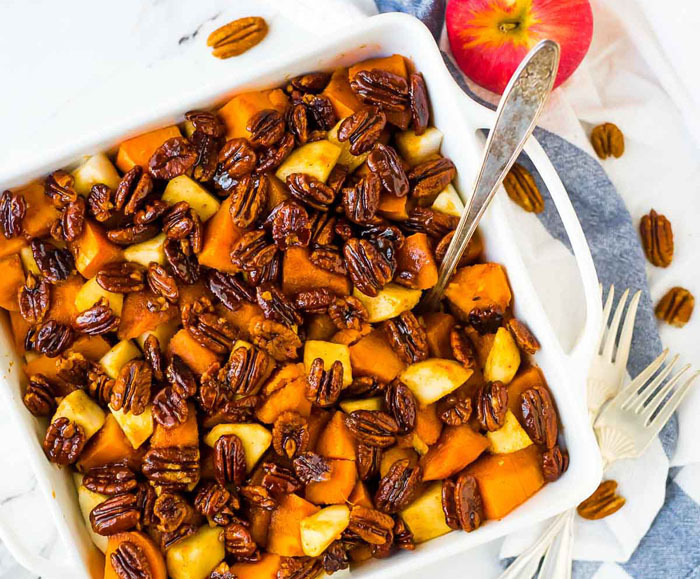 Mel’s Kitchen Cafe’s Stuffed Apple and Bacon Sweet Potato Casserole sounds like a delicious combination of hearty and decadent. Do you stray from traditional Thanksgiving recipes? Thank you so much for including our recipe in the delicious round up. We so love sweet potatoes here! who would have known that there were so many different sweet potato options. I want to tyr some of these! My kids and I love sweet potatoes! Lots of great ideas here. Now, if only my husband liked them to. When we eat them baked, I have to get him a plain ol’ Russet, LOL. I am a vegetarian and often use sweet potatoes as a main dish. 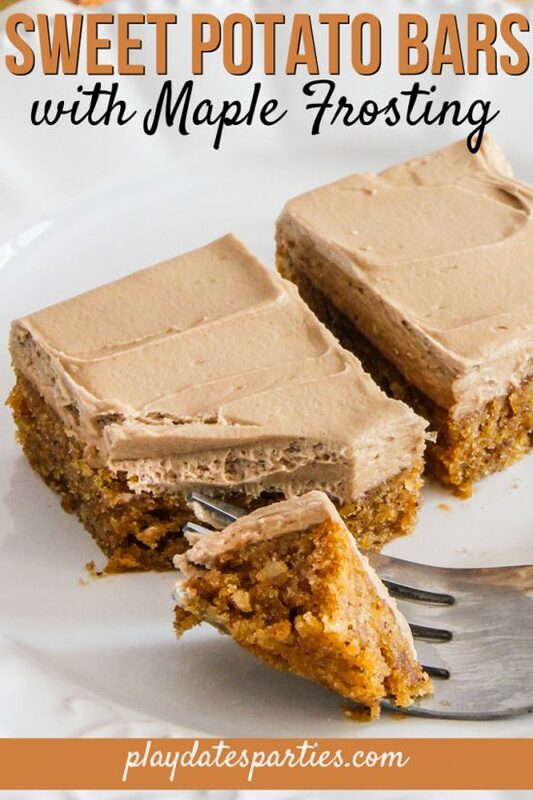 There are so many wonderful recipe ideas on this post that sound so delish. 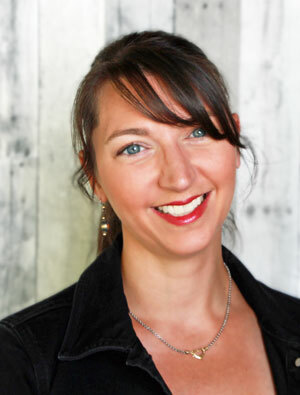 I can’t wait to try out some of them SOON.. What perfect timing, for the holidays – so happy I found your great site. Thanks so much. You’ve really showcased the versatility of the sweet potato!! Great post – Thanks for sharing at the What’s for Dinner party – and have a wonderful week. Hope we see you next Sunday too! Leslie, I love this post! 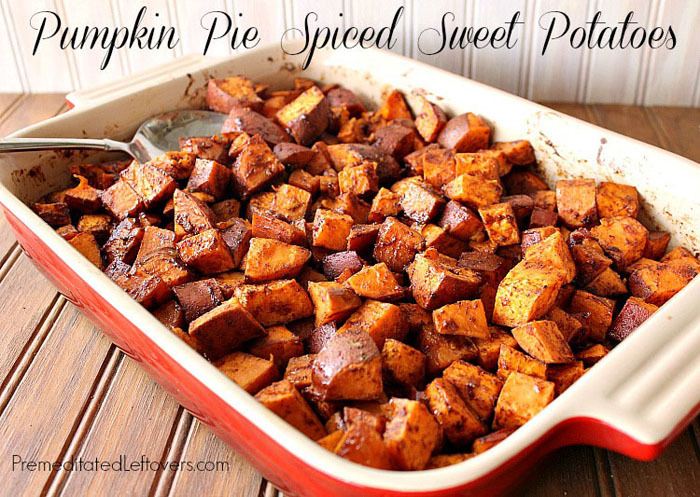 Maybe I will be inspired to try a new sweet potato dish! Great round up of recipes! Glad you shared your post on the Creative Muster Party! 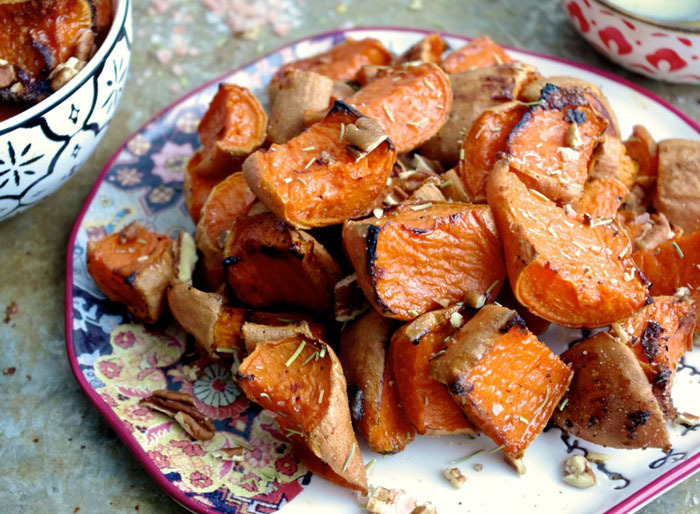 So many great options to cook sweet potatoes! Pinned it for later. Found it at Fall into Fall. You have really shown off sweet potatoes to their best here, loads of recipes I would be happy to try. Oh, wow! I want to try one of these for Thanksgiving but it is so hard to pick just ONE, they all look great! Thanks for the inspiration! So many great ones to choose from– I think I’m going to try the Crispy Roasted Rosemary Sweet Potatoes by The Comfort of Cooking. Thanks for sharing! So many great recipes!!! I only wish my husband like sweet potatoes!! A delicious collection! Thank you for sharing at Fiesta Friday! 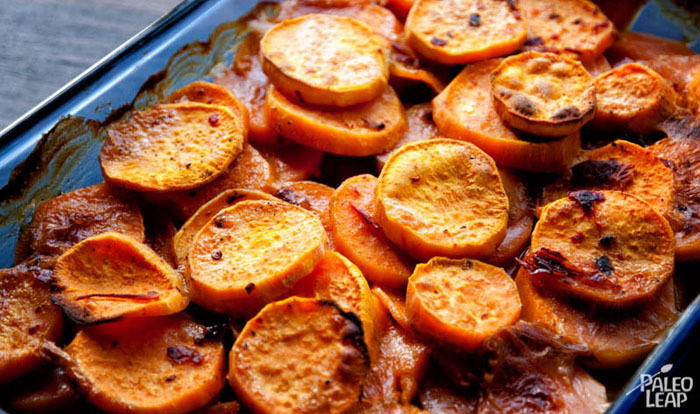 What a wonderful collection of recipes showcasing the Sweet Potato. My favorite would hard to choose but I will say the dish by The Comfort of Cooking, looks so delicious. We will feature this post on the next Blogger’s Pit Stop, well done. I can practically smell the Turkey roasting in the oven! Any one of these would make a great side dish for Thanksgiving. 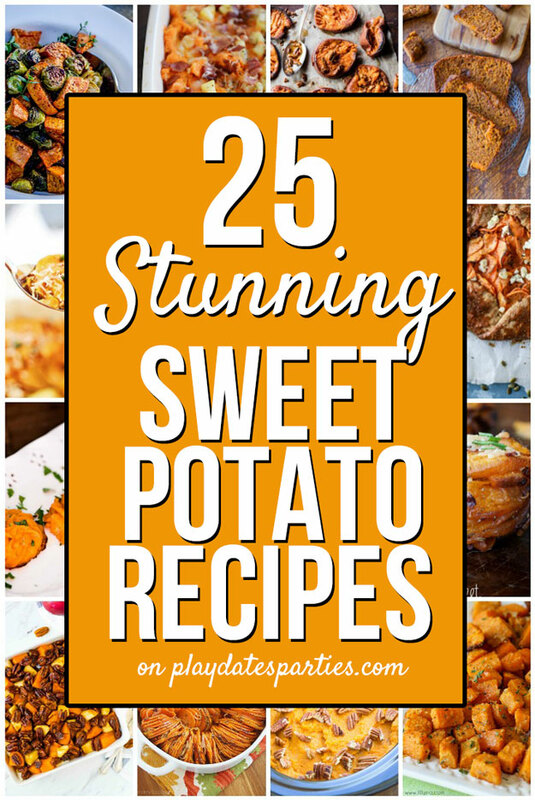 We LOVE sweet potatoes; I’m glad to get so many new recipes for them! Thanks so much for sharing them.